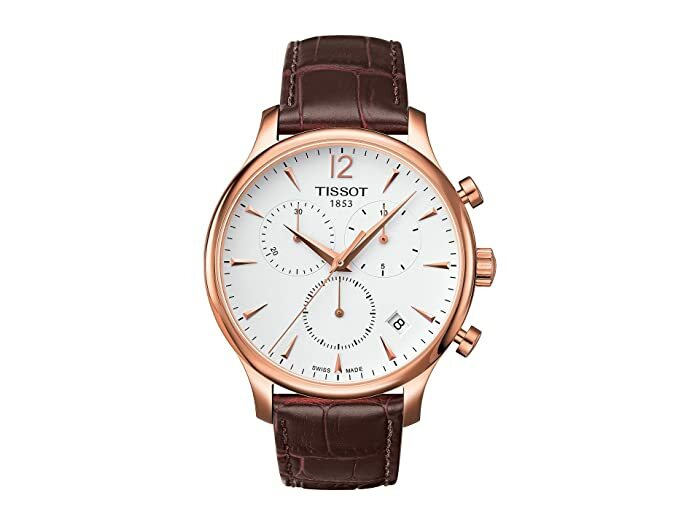 Craft a tale of sophistication and style when you wear the Tissot® Tradition Chronograph watch. 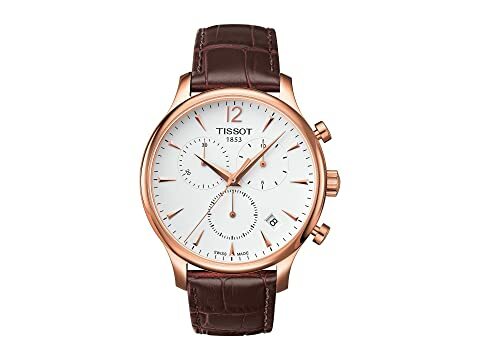 Three-hand analog display with ETA G10.211 Swiss quartz movement, three sub-dials, and date display window. Silver dial face features baton hour markers and minute track at dial perimeter.